There are 2 schools in Pune. One at the Ashram campus in Nigdi and another at Baneshwar. Both the schools are affiliated to Maharashtra Board. 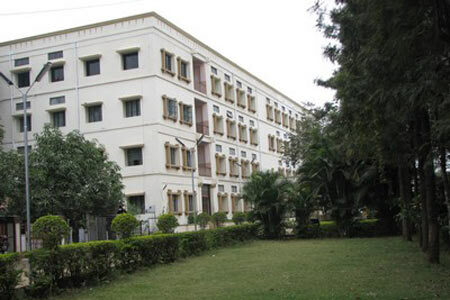 Amrita Vidyalayam, Nigdi, Pune was started on 18th June 1992 in the Nigdi Ashram premises with a strength of 22 students. The school was recognized by the Government of Maharashtra in 1995. In 1998, the school shifted to the new school building, which was inaugurated by Swami Amritaswarupananda Puri. The Secondary section in 2001 and Junior college in 2004. The school has more than 2500 students. • Received Mahatma Phule award for the best school in 2006. • Pimpri-Chinchwad festival had organized a dance competition in the district level and Amrita Vidyalayam was the winner and bagged 1st prize in 2007. • Bagged 4th prize in the interschool dance competion organized by Ahilya Devi Pratishthan in 2007. • For consecutive 3 years Amrita Vidyalayam has been leading in the Road Safety Patrol competition. • Received the best platoon award for the year 2007. The best Road Safety Patrol cadet from PCMC was selected from Amrita Vidyalayam in 2007. • Received the I prize for the best school in PCMC area in 2007. • Got maximum prizes in the interschool competition conducted by Sanskar Prathishthan in 2008. • Received a Performance Excellence Award for outstanding overall performance in International Informatics Olympiad 2008.